A stay at Serendipity House places you in the heart of Londonderry, steps from Brooke Park and 3 minutes by foot from St. Eugene's Cathedral. This bed & breakfast is 0.5 mi (0.7 km) from The Peoples Gallery and 0.6 mi (1 km) from Harbour Museum. Make yourself at home in one of the 6 guestrooms. Complimentary wireless Internet access is available to keep you connected. Conveniences include desks, and irons/ironing boards can be requested. With a stay at Phoenix B&B in Londonderry, you'll be within a 10-minute walk of Walled City and Craigavon Bridge. This bed & breakfast is 0.3 mi (0.5 km) from St. Columb's Cathedral and 0.4 mi (0.6 km) from Apprentice Boys Memorial Hall. With a stay at Bridge Bed & Breakfast in Londonderry, you'll be within a 5-minute walk of Craigavon Bridge and Walled City. This bed & breakfast is 0.2 mi (0.3 km) from Derry City Walls and 0.2 mi (0.3 km) from Foyleside Shopping Centre. Located in Londonderry, Waterfoot Hotel is on a river, within a 10-minute drive of Waterside Theatre and Peace Bridge. 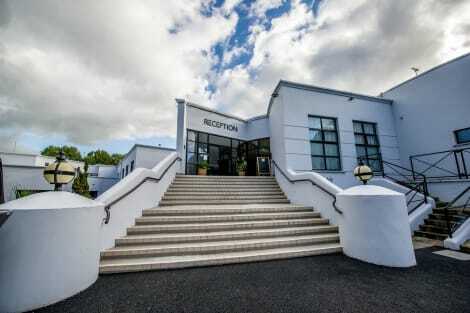 This hotel is 2.7 mi (4.3 km) from Craigavon Bridge and 2.9 mi (4.7 km) from Derry City Walls.